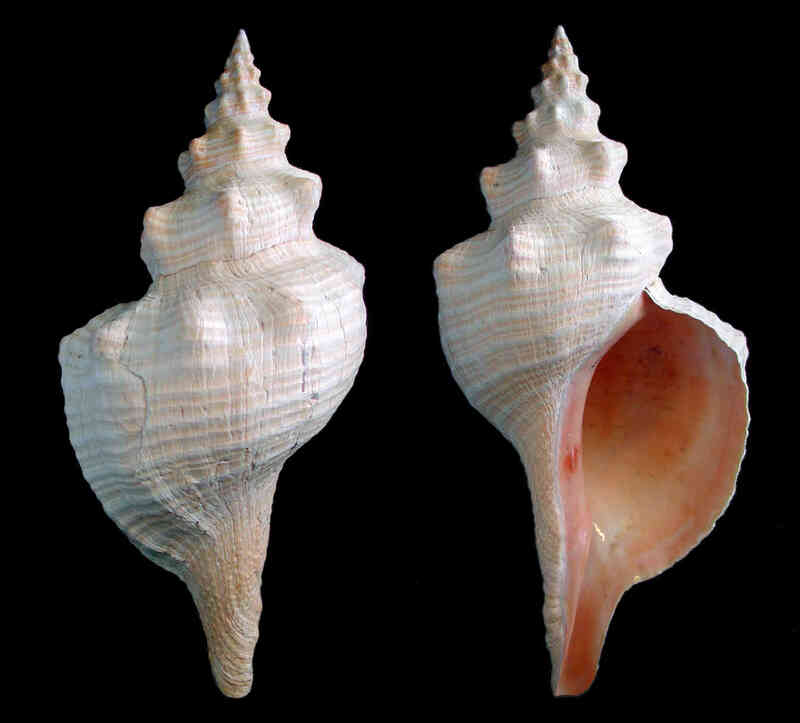 Shell size up to 50 cm; shell with up to ten whorls. Sculpture of about 5-7 spiral cords and weak axial ribs that sometimes form knobs on whorl shoulders. Columella with three plications. Periostracum dark-brown to light-tan, sometimes flaky, periostracum. Shell color grayish-white to salmon-orange, usually orange in younger specimens. This is the largest gastropod in American waters, and the Florida State Shell. A variety lacking nodules known as "knobless wonder" can be found in SW Florida. The egg cases are fan-shaped, with concentric strations regularly spaced on the surface of each capsule, each capsule roughly one inch long. 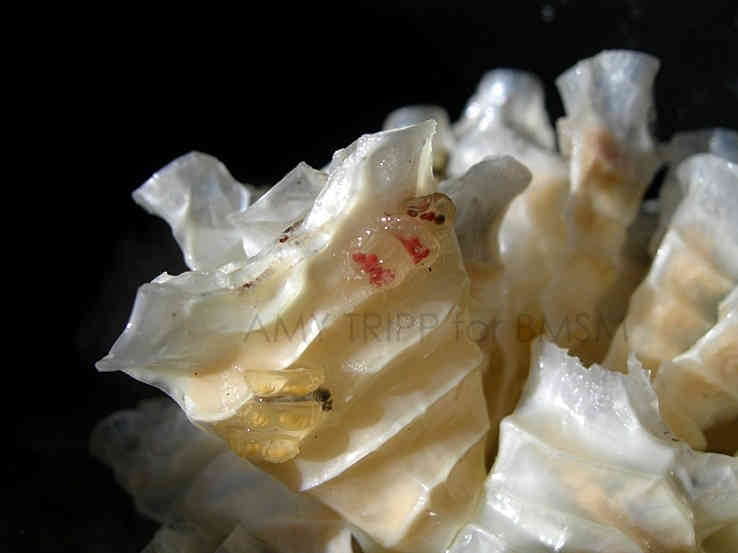 The egg cases in this image were photographed by Amy Tripp on Kice Island, Collier County, FL, on February 21, 2012. The Shell Museum holds the world size record for this species: a specimen measuring 606 mm (about 23.86 inches) and collected off Sanibel Island by Ed Hanley!